Are you an online shopper? and you do not know about Amazon? Well it`s cant be possible. Because Amazon if world`s biggest online marketplace not only for books but for everything else that you can buy online. Anyone can buy things on amazon using their debit credit cards or cash on delivery. But what if you have a PayPal account and you wants to make payment via PayPal. You will not find any option on Amazon to make payment via PayPal. How to use Paypal on Amazon? Today I am going to share about a way to make payment for Amazon orders via PayPal account. This way is PayPal debit card. It is a normal way where PayPal debit card takes money from your PayPal account. Premier and business paypal accounts allow you to have Paypal debit card without any additional fees. Under Account options click on "Upgrade to a Premier account." Go to sign up for a PayPal Business Debit MasterCard. You will have a PayPal Business Debit MasterCard. You can use it anywhere MasterCard is accepted. Also on Amazon. Enter the debit card when you check out on Amazon. 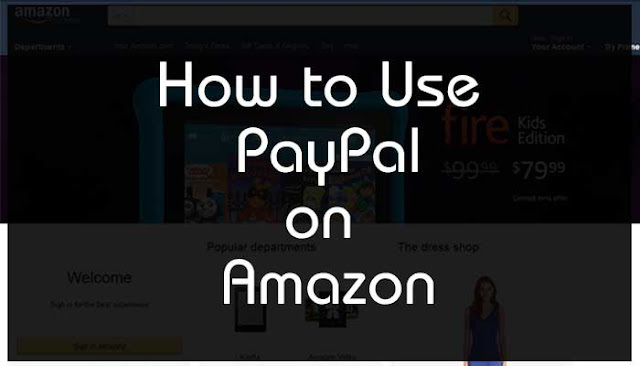 So this is the way how you can use Paypal debit card to shop on Amazon. If you still have any question, feel free to ask me via comments.